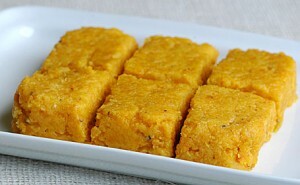 Chaney Ki Dal Ka Halwa recipe by Mehak Hasnain at DesiRecipes.com. First of all soak chana dal overnight. In morning boil the daal with alaichi in water until the dal get tender and water evapourates. Then grind the dal in grinder. Heat oil in a pan and add grinded mixture and milk. When milk is evapourated then add sugar and cook it untill oil seperates. Garnish it with almond,, pistachio and waraq.